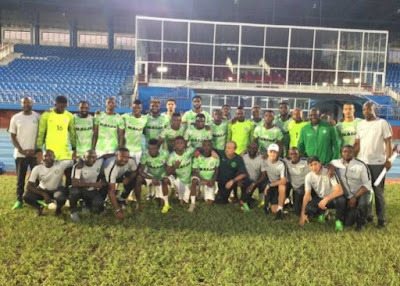 Super Eagles Technical Adviser, Gernot Rohr, has admitted his concern over injuries and complacency ahead of the Super Eagles’ upcoming matches in March. Nigeria will round off the 2019 Africa Cup of Nations qualifying campaign with a clash at home to the Seychelles, followed by a friendly with North African heavyweights Egypt. The German gaffer has taken note of injuries to the likes of Ogenyi Onazi, Ahmed Musa and Tyronne Ebuehi amongst others. Although he will surely be happy to see captain John Mikel Obi playing first-team football against following his move to English second-tier team Middlesbrough, the good news for him is also the return of Shehu Abdullahi in Eagles backline. The match against Seychelles may be one in which motivating the players to produce their best is difficult, given that the game is a dead-rubber because Nigeria has already booked her place at the 2019 AFCON finals. “Like Tyrone, who is in the training again but he can’t start playing; also Ahmed Musa who has an injury at the moment. “The match against Seychelles is not easy because everybody believes it will be won easily. That is dangerous and is a trap sometimes” Rohr observed at the weekend.